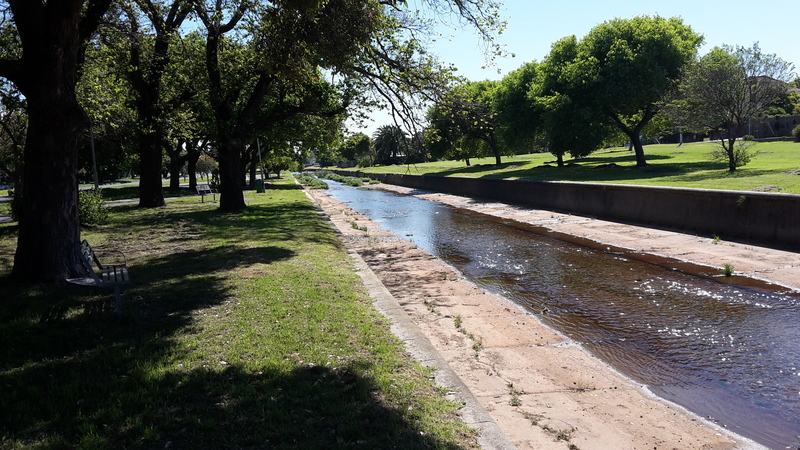 The Liesbeek River Life Plan is a recently formed collaborative effort between the Friends Of the Liesbeek and UCT’s Urban Water Management research unit to contribute to plans and designs for restoring and offering better support to social and ecological life of the Liesbeek River. The primary aim is to provide a framework plan which will guide the building of ecological and social resilience in the Liesbeek River catchment while providing an “insurance policy” in order to safeguard and enhance the Liesbeek. This framework will also aim to address the relationship between ecology and human behavior by enhancing amenity and social value of the river.A secondary aim is to work together in a community of practice where we explore new ways of thinking from the knowledge and experiences of participants. This community of practice will include the knowledge and resources from various academic and professional bodies as well as from first-hand knowledge with community groups.